The increasing frequency of mass shootings in the U.S. has left countless families destroyed and communities in tatters, looking for answers about what could have been done to prevent the violence. While political differences have stalled legislation relating to gun laws and gun research, there are some steps that law enforcement and emergency management experts say can improve the way both police departments and citizens respond. 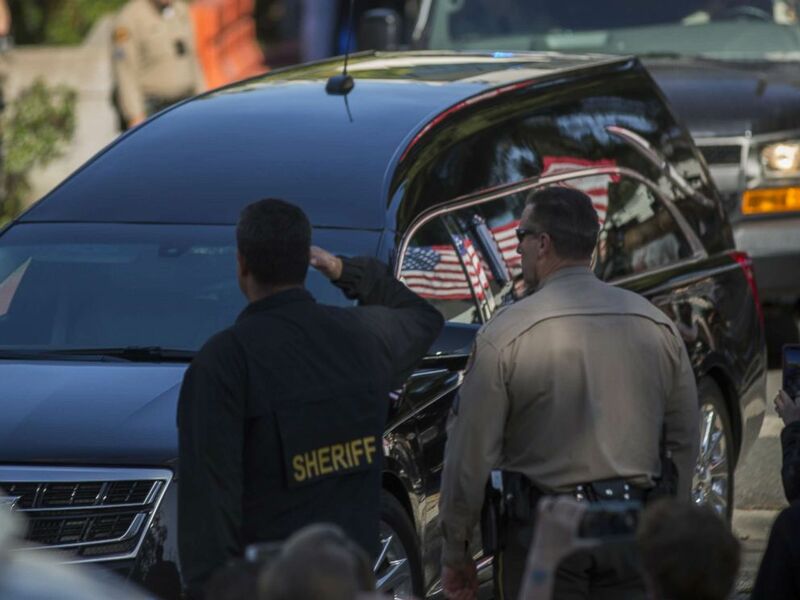 "These mass shootings require that we not only changed the way police handle threats but also how the public responds to these threats," said John Cohen, an ABC News consultant and former acting undersecretary of homeland security. "The public can help prevent attacks, but members of the public also have to be prepared should they find themselves in the midst of an attack," he added. Here's how experts say you can protect yourself and your community. After every shooting, the inevitable examination of the shooter’s personal life and social media posts raises questions about what could have been done to prevent the tragedy. Steve Gomez, a former police officer and FBI special agent in charge, stressed the importance of having people report suspicious behavior to their local police departments. Gomez is now an ABC News contributor. "If they think that somebody is experiencing mental health issues … they have to report it to the police," said Gomez. "Even if the police might not be able to do anything, at least it would be on record and if there are multiple reports, then that could be the basis for some type of intervention." There are known examples of where such alerts have helped raise red flags about individuals and, potentially, stopped attacks. 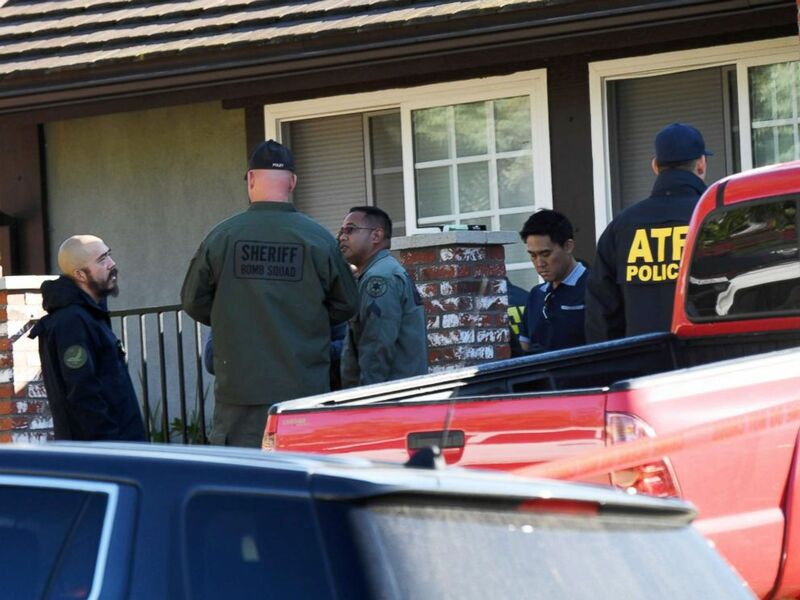 The home of suspected nightclub shooter Ian David Long is searched, Nov. 8 2018, in Thousand Oaks, Calif.
One recent example came in Montgomery County, Maryland, where high school students told their school resource officer that a former student was posting photos of himself holding an AR-15 rifle and loaded magazines, writing: "Ha, ha, I’m going to shoot up the school," according to the Montgomery County Police. The individual, 18-year-old Luis Cabrera, was arrested and charged with one count of threat of mass violence, and he is being held without bond, police said. Cohen said that situation was an example of"“exactly what we hope will happen across the country" with members of the public informing officials and then officials taking action. "It’s a whole-of-community approach. People, whether they be students, parents family members … when they observe the warning signs, they have to report it to law enforcement," he said. There are also precautions that people can take to protect themselves in public. Joe Bucchignano, a police officer paramedic who is a certified emergency preparedness and response instructor, said that being in the right mindset is crucial. "It starts with kind of having some level of acceptance that any time you’re out in public, you're at risk. We can try to ignore it, we can try to pretend that that threat is not there, but if that’s your mindset ... you're already putting yourself behind the curve in terms of survivability," Bucchignano said. "Some people will say it's paranoia. It’s not paranoia. Its preparedness and taking your own personal safety and survivability into your own hands," he added. Knowing where the exits and entrances of a venue are located is important, Bucchignano said, but it's not enough. It’s also about "having that sense of being responsible for your own safety and not relying initially on professionals -- law enforcement or emergency medical services -- because realistically, with these types of situations, law enforcement's priority initially is not to treat or evacuate injured people but to locate the shooter and to stop them," he explained. Cohen said that "if they can do so safely," witnesses and survivors can help law enforcement by getting information to them about the unfolding situation. Letting police know how many shooters there are, for instance, is helpful. "This is really dangerous for law enforcement as well because of the way they’re responding, so the more information they have, they can be more efficient and also safer," Cohen explained. Gomez echoed the federal guidance for active shooter situations, which is to "run, hide, fight." "If they [civilians] are faced in a situation where they can’t escape, they have to conceal themselves but also look for opportunities when the attacker is distracted to then stop the attacker, such as when the attacker is reloading," Gomez said. As for the third step, Gomez said that people can look for tools around them to help either escape or fight. In the case of the recent shooting in Thousand Oaks, California, Gomez pointed out how patrons used barstools to break the windows and escape. He added that objects like furniture can also be used "as a weapon against an attacker." While some companies require employees to go through hazardous environment training, Bucchignano said that there are other training programs that are offered to members of the public that include simulated active shooter scenarios. Such exposure to potential scenarios, Bucchignano said, helps because "the first time you’re experiencing that isn’t real life, when it’s actually happening." These courses let people learn how to respond in "a controlled environment." As for medical training, Bucchignano said that the three types of potentially treatable injuries that are most common in mass shooting incidents are instances of massive external bleeding, penetrating trauma to the chest cavity, and airway obstruction or people with uncontrolled airways. While many first aid programs focus on CPR, Bucchignano said that such training is certainly helpful for some situations, but not typically in the middle of a mass shooting incident. "CPR will completely destroy your ability to be aware of what’s going on around you, so in that care-under-fire stage … it’s about moving yourself and the victim to an area of hard cover where it’s going to afford you some level of safety and bleeding control. Those are the two things that are important in that situation," he said.